1. MRC will release a 1:35 MH-60G Pave Hawk sometime next year (as rumoured in HKN #44). It is likely that this will be the first of a range of 1:35 Blackhawk variants. So just one new mould there, but it's a winner - the long awaited S-55 / Whirlwind. The other three will be modifications to kits in the existing range, I assume. Westland WAH-64D Longbow Apache, another minor modification. Note that in previous years Italeri's plans have sometimes changed between RCHTA and the issue of the next year's catalogue. 3. Special Hobby's 1:48 Flettner Fl.265 is now available, #48004. Review from NKR. "The kit is quite simple but well detailed. There are 26 injection moulded parts with fine raised ribbing and engraved panel lines, plus 15 resin parts and a one piece vac-form canopy. The cockpit is nicely detailed with side wall ribbing moulded into each fuselage half, separate injection moulded frame work, a resin floor, seat, instrument panel, control stick etc. There's a one piece resin engine, with an injection moulded front plate, resin exhaust pipes and a separate two piece cowling. The instruction sheet has details of two colour schemes for the same aircraft, and there is a small Propagteam decal sheet with markings for one aircraft." 4. NKR also provide this review of the Planet Models 1:72 Tsagi A-7 autogiro. "While only small (just over 4" long) this is a highly detailed resin kit consisting of a bag of smaller details (engine, cockpit etc.) and a second bag with fuselage halves, one piece wing, rotor blades, propeller and struts. The cockpit is excellent with side frame work moulded into the fuselage halves, along with separate floor, seats, control sticks, instrument panels and a rear gun. The engine is a one piece moulding with separate cowling and exhausts. The underwing weapons load comprises six rockets and four bombs. Also supplied are a decal sheet, with markings for two Soviet aircraft from the mid '30s." 5. Available now from Rainbow Ten is Hasegawa's latest 1:72 Seahawk, #00042, an SH-60B with AGM-119B Penguin Missile. 6. Some pictures showing Nicholas Poncini's outstanding Mojave from the UK IPMS Show can be seen here. The Apache diorama that I mentioned last week was by Andy Sutton, and the scratch-built Pelikan was by Marco Pisani. 7. One of the visitors to the World Helicopter SIG display at the UK IPMS Show described a kit he had seen of the Brantly B.1, B-2, or 305. He believes the box had Chinese or similar writing on it. If anyone out there knows anything about any Brantly kit, Chinese or otherwise, please let me know. Incidentally, the B-2B and 305 are being marketed in China by a company called Brantly International Inc. whose address is in Beijing, so there could be a connection there. 8. Meteor Productions have added another mask to their BlackMagic range, #CEBM48318, OH-6 canopy masks for the Academy kit. 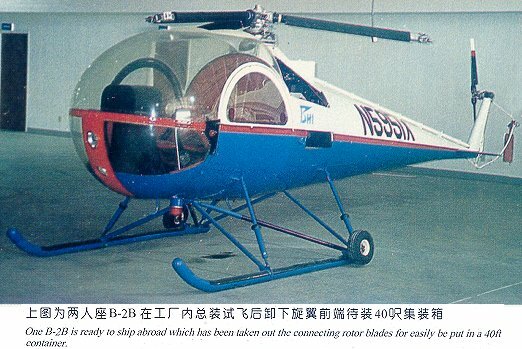 "I bought the SH-60F, HH-60H, HH-60J and the RAN Tigertail S-70B-2. The kits comprise good quality mouldings with detailed instructions including good colour scale drawings and where appropriate copies of colour photographs. The decals look excellent and some come as two parts - the white parts and the coloured parts. It looks as if the Italeri kit is easier to do the conversion on than the Hasegawa as the radome on the Hasegawa kit has to be removed (it's a separate part on the Italeri kit)." "Hawkeye also offer a service to produce decals from photographs. I took them up on this and asked them to do some for an RH-53D of which I had photos (Scale Models, Aug-87). The results were good, coming in two parts similar to the above (white and coloured). Expensive for a one-off (AU$25), but if you can't get the decals you want - it's worth it !" 10. Take a look at these beautiful pictures of helicopters in the Israeli Air Force Museum, taken by Serge Batoussov. 11. According to a representative of Zvezda's distributor who spoke to Yevgeny Borissov, the much delayed 1:72 Zvezda Mil Mi-8 will now be released in the Spring of 2000. However, in December this year, Zvezda will release a new kit of the Kamov Ka-27. It is said to be about 70% complete at the moment. 12. Yevgeny runs Heliborne, which has an illustrated helicopter kit news section, but at present you have to be able to read Russian to get the full benefit from it. Boeing-Vertol H-46 Sea Knight, etc. Thanks to Chris Wilson, Yevgeny Borissov, Lennart Lundh, and Michael Benolkin.